My years on this earth have provided me with some very useless knowledge. I learned the important stuff in school, but for some reason I can’t remember how many layers of earth there are between my feet and liquid hot magma. Should my kids ask me about which supermodel is dating that really cute actor, I would provide them with a manifesto. Because useless knowledge doesn’t quite constitute “real” learning, I can use From Earth To Space to help fill in the gaps. Earth science at its best is presented in quiz form, and the fun facts encompass volcanoes to satellites, and everything in between. The app even covers the world’s monuments, from the Eiffel Tower to the Statue of Liberty. 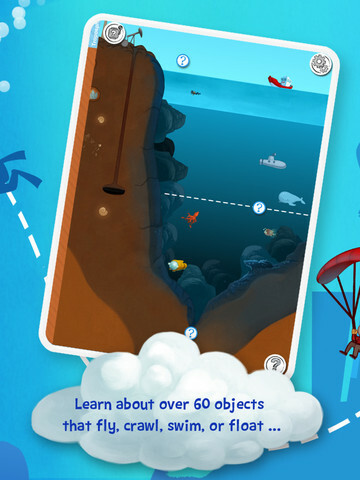 Players can easily move up and down from the earth’s core to the stratosphere. In each “layer” there are over 60 different pictures that can be tapped on, and doing so gives the name of the object and gives a little quiz. The layers are labeled by their scientific terms and marked with foot levels. The developers at Chocolapps suggest that parents take the time to play this app with their kiddos, so that’s exactly what I did with my 5-year-old. He’s quite science-minded (that skipped a generation) so he was fascinated by the different layers and the learning within each. While I enjoy apps that encourage and support independent play, it was great fun to see the world through my child’s eyes and learn together with him. 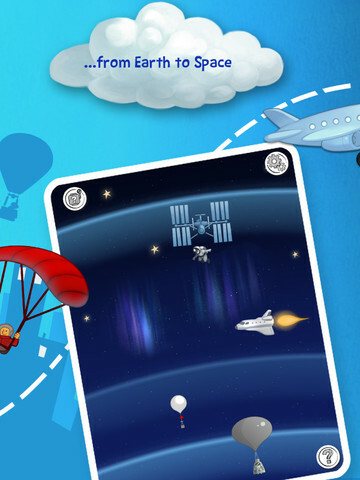 This app is $2.99 to download but there’s also a free limited version if you want to “try before you buy”, but From Earth to Space is really well worth the cost. 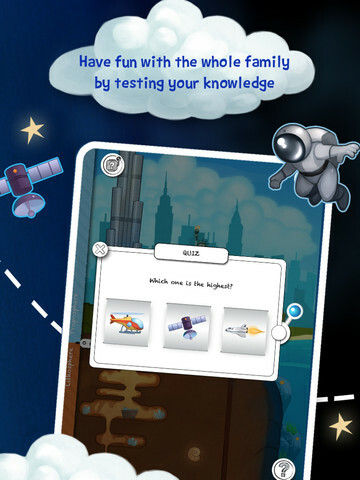 Educational content aside it’s so refreshing to play an app that is intended to be shared by parents and kids alike. We’re happy to call this an All Star.